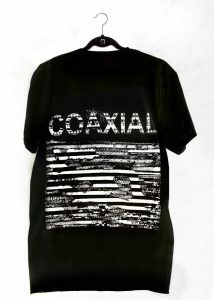 Designed by Suzy Poling. 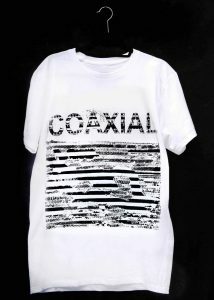 Screen printed, available in Black or White. 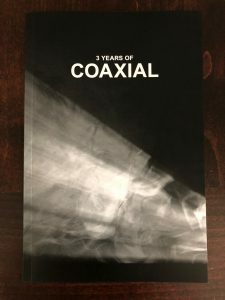 A book documenting the first three years of Coaxial. With photos covering the gamut of residencies and performances. Over 50 full-color pages. With photos from Katie Stenberg, Eva Aguila, Dalton Blanco, Tony Ung, Estelle Srivijittakar, Suzy Poling, Jonnie Prey, Eric Zimmerman, and Sophia Nearhood. Book design and layout by Alex Mata. 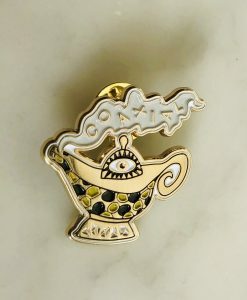 New Coaxial lapel pin designed by artist Kiki Johnson.